The international team investigating the downing of flight MH17 in July 2014, said on Thursday the Buk missile which shot down the passenger plane originated from a unit of the Russian army from Kursk in Russia. All 298 passengers and crew, which included mainly Dutch citizens, were killed in the disaster, which took place as the plane flew over Eastern Ukraine on its way to Kuala Lumpur. The investigators told a news conference on Thursday they have now concluded the missile came from a Russian army unit after extensive comparative research based on several images of the Buk. ‘The analysis of those produces a number of characteristics and the combination is so special that that can be considered as a fingerprint,’ the interim report on the air disaster said. This means that people within the brigade and close to it will be aware of the operation in which the missile was deployed, the investigators say. They are now calling on insiders and eyewitnesses to come forward. ‘Who formed part of the crew? What were their instructions? Who was responsible for the operational deployment on 17 July 2017?,’ Dutch police chief Wilbert Paulissen said at Thursday’s press conference. Chief investigator Fred Westerbeke said on Thursday the probe was now in its ‘last phase’ but said there is ‘still work to be done’ before charges can be brought. 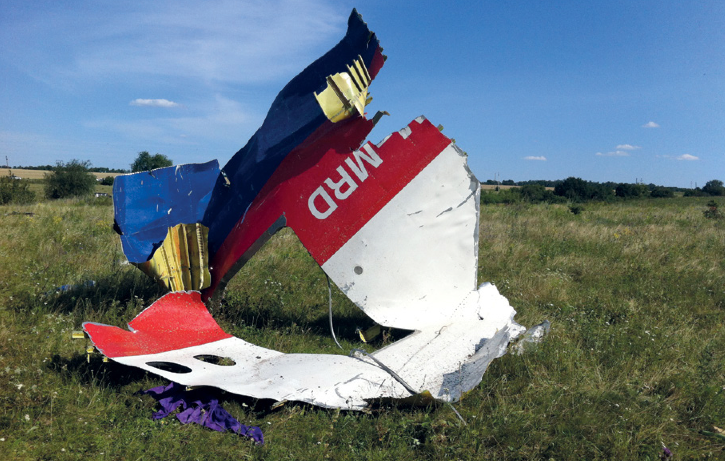 The trial of any suspects arrested in the shooting down of flight MH17 will be held in the Netherlands under an agreement reached with the countries leading the joint probe.